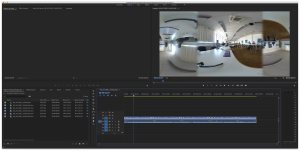 Insta360 Plugin For Adobe Premiere and After Effects Is Not Working | Christoph Bartneck, Ph.D. I recently recorded a lecture I gave in Stuttgart using the latest Insta360 One camera. Since it is very difficult to stop an academic from talking the whole presentation took nearly one hour. The camera divided the recoding into several files, each around 4 GB. This is probably because they wanted to be compatible with the old FAT32 file system. Their 360 Editing Software allows you to convert their proprietary INSV files into MP4 files and they even have a batch processing option. But the software cannot merge multiple videos into one, which I desperately needed. Insta360 is also offering a plugin for Adobe Premiere and After Effects. After installing the plugin I was able to import the INSV files into Premiere, but the image of one of the cameras was upside down. I contacted their technical support and they explained to me that the plugin is currently not working. I ended up having to convert all the INSV files to MP4 first and then editing them into one movie in Premiere. 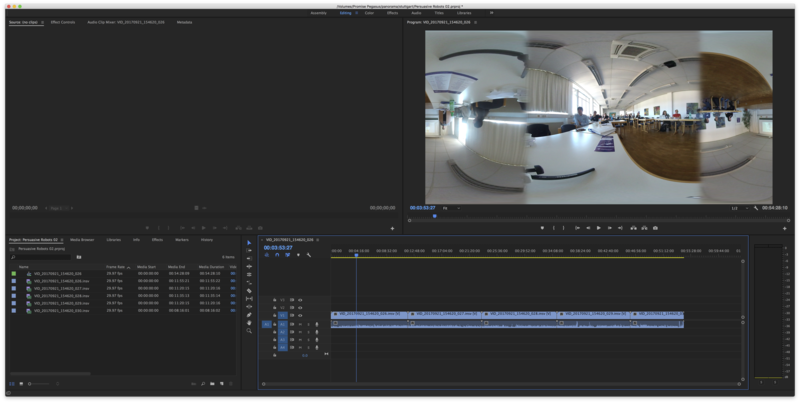 I have to admit that this workflow is rather inconvenient and I hope that Insta360 will either enable their editing software to merge movies or that they get their Adobe plugin working again. This seems another example of Banana Technology, it ripens at the user. I have this same issue. What did you use to convert the INSV files into MPR files? Does the plug in work with after effects. I did not try and they have also updated their software by now. I do no longer own their camera and are therefore unable to test.